The Yukon Grizzly Locker is the ultimate in locking differentials for street, off-road, & drag racing. Grizzly Lockers provide 100% power to both tires, while still allowing for disengagement while negotiating turns. The Yukon Grizzly locker is a mechanical locking differential. It features a forged case and 8620 internals for maximum strength. It's patented design reduces common locker failures. All units assembled in the USA! All Grizzly Lockers are backed by the best warranty in the business! Yukon covers the replacement unit and covers any collaterally damaged parts and associated labor, up to $2,000! 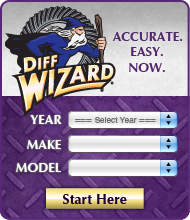 Click the button below to add the YGLF8-31 - Yukon Grizzly Locker for Ford 8" with 31 spline axles to your wish list.